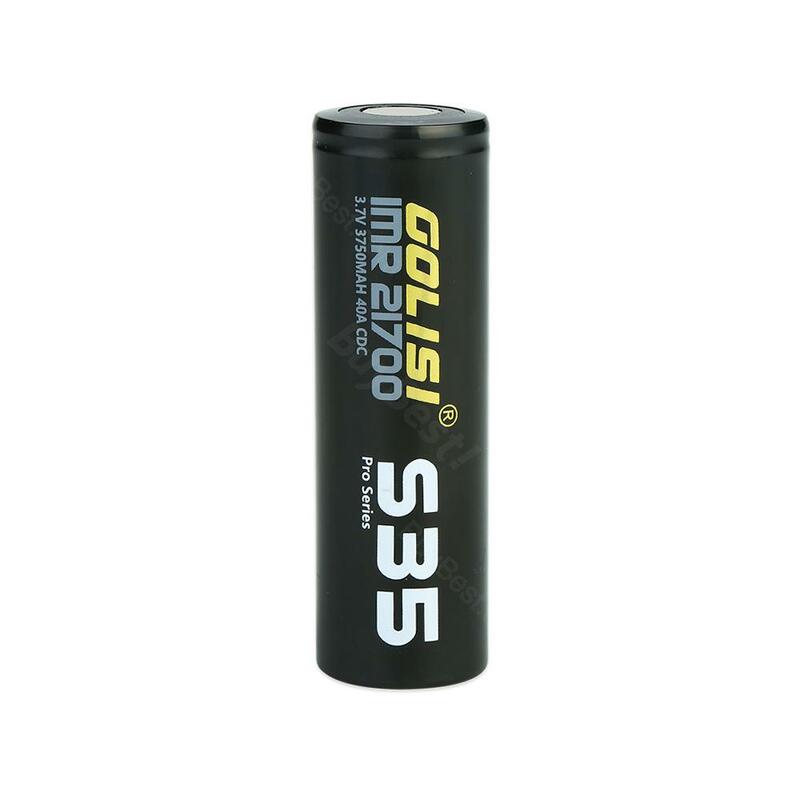 Golisi S35 21700 battery is a 3750mAh high performance rechargeable lithium battery and made for high discharge current (max 40A) applications. • Compatible with most 21700 MODs. Golisi S35 21700 Fast delivery Great performance Great look The wraps are durable Great materials - Great wrapping - Great continuous discharge - Great capacity - It is the most balanced battery on the marked for vapers, in my view, when it comes to the continues discharge to capacity ratio. Came with a dual battery case with the battery inside It is amazing that 21700 batteries can be used for this price. With the force from 21700 batteries, they can be used safely in low resistance. The case with me is also very luxurious. I have been using it for a quick delivery without any problem and I think it is a really good product .... Recommend Отличные батареи, черные большие, содержат много электрического тока, которого хватает, чтобы парить электронные сигареты, недорого, доволен. It is amazing that 21700 batteries can be used for this price. They can be used safely in low resistance. Recommend. Отлично! В комплекте коробка для хранения!